Interestingly, Python was first released when I was in Grade 11. 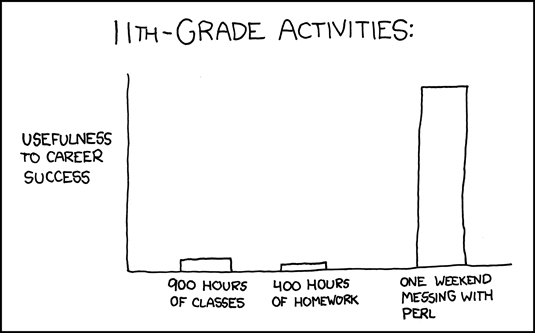 Via xkcd. This entry was posted in Philosophy, Python and tagged education, Python, xkcd on December 27, 2008 by Darren.